NikonD500 + Nikkor 200-500mm. @500mm. f/5.6 , @1/3200, ISO - 1600. Last edited by himadri roy on Tue Feb 05, 2019 11:09 am, edited 1 time in total. Nice lift-off shot Himadri! Good capture just above the water with a nice low angle. Super lift-off shot in great light! you nailed this one perfect and the added sweet color, it's a winner HIMADRI. Remarkable takeoff shot, Himadri. Looks as if she is walking on water. Superb lighting, and the trailing water droplets are the perfect finishing touch. 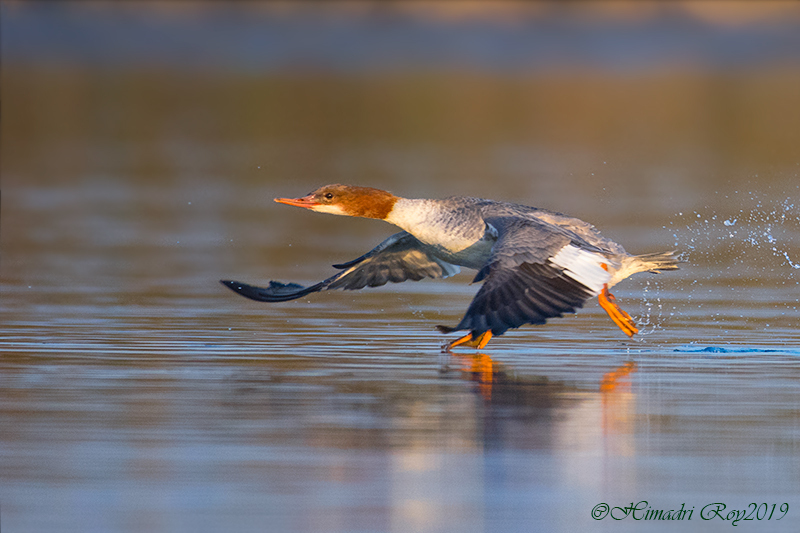 Superb capture of the take off action with this lovely lady tip-toeing across the water, Himadri! Beautifully done. Just gorgeous -the light really shows off her beautiful colors, and the take-off pose is great with a splash behind.